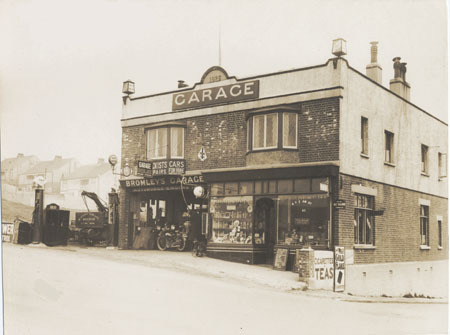 This photographic print shows Bromley's Garage in Roedean Road, Brighton. It is a view of the front of the building, with a tea room visible on the right of the building. 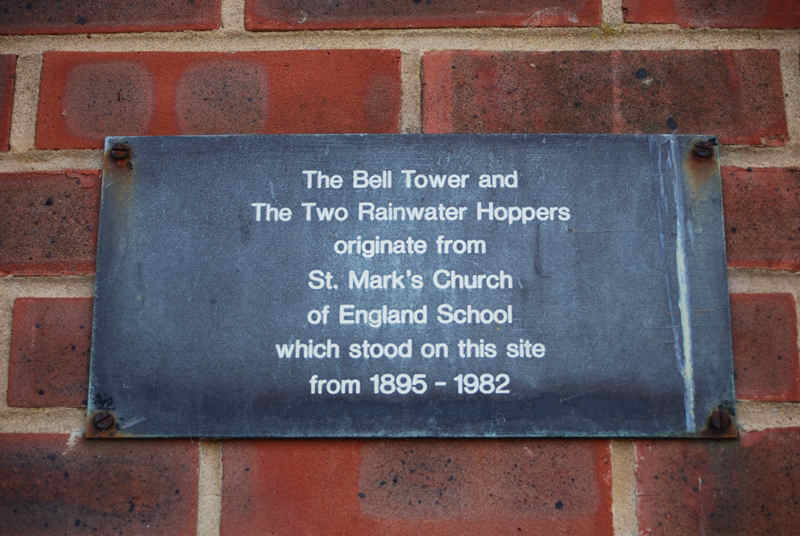 A sign at the top of the building indicates that it was built in 1926. The reverse of the print bears a photographer's stamp. A partially legible pencil note on the front of the photograph states 'Petrol Pumps In Ch-'. Roedean Gap is a slight dip in the cliffs between Black Rock and Ovingdean Gap, and has been known as such since at least 1724. 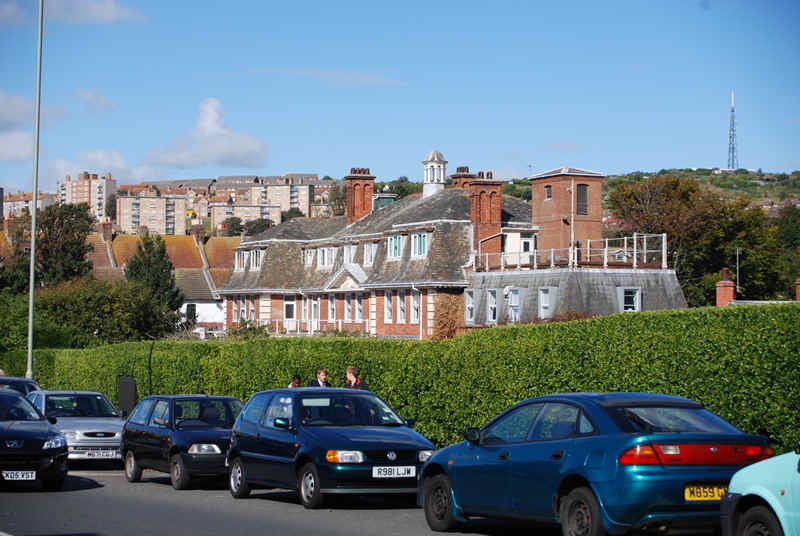 It was the site of a tollgate on the Newhaven turnpike, and Roedean Farm stood on the cliff top until the construction of the Marine Drive in the early 1930s. There was also a windmill at Roedean from around 1750 to about 1790, and the old mill-house was amongst the buildings cleared for the road construction. Roedean Bottom extends northwards from the gap and has been the site of a number of Roman finds. 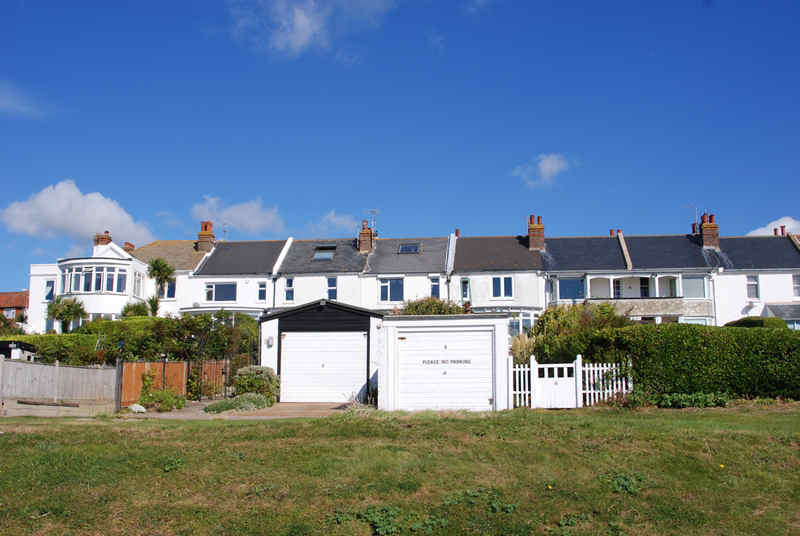 In about 1900 an isolated row of coastguard cottages now known as Roedean Terrace was erected to the west of the valley. 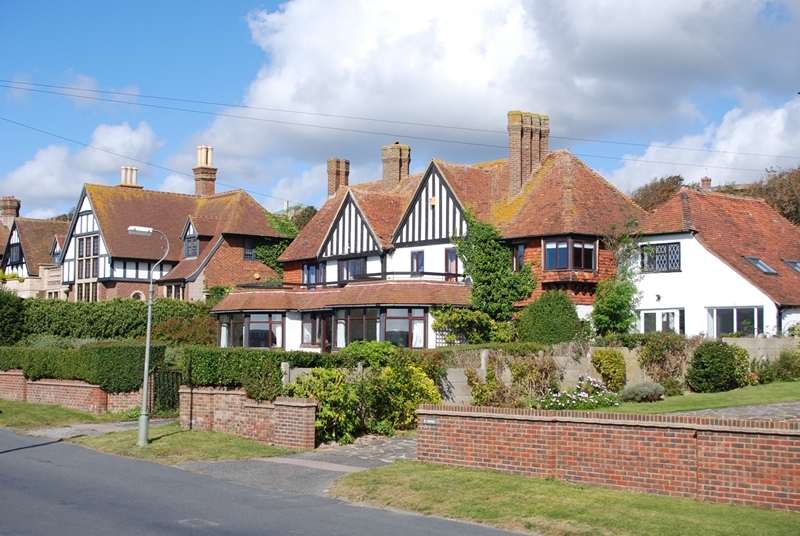 The Roedean estate, which was developed around the terrace from the 1930s, is now one of Brighton’s most exclusive residential districts with a population of around 600. 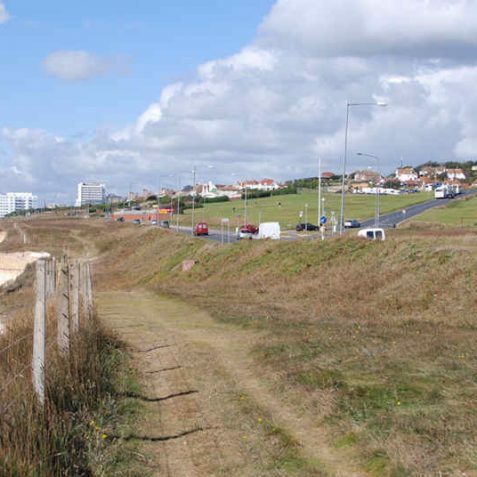 The open spaces along the cliff top were acquired by the corporation in 1928-35. The miniature golf-course opened in April 1957, but was reduced to 16 holes in 1988 for the new layout of Marine Drive to cater for Marina traffic; the adjacent area to the north of Roedean Road has also been used as a pitch-and-putt course during busy periods. 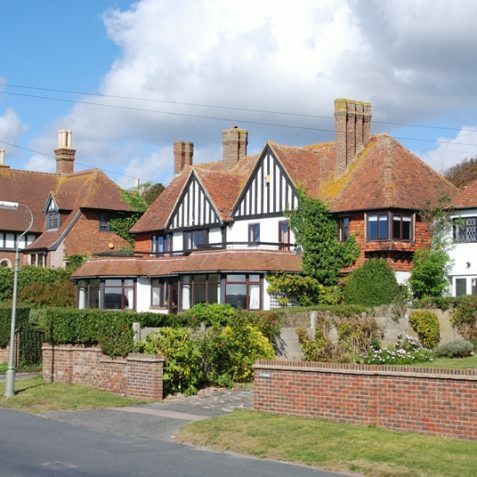 Roedean Road itself opened between Arundel Road and the coast road at Roedean Farm in 1897 as an alternative to the cliff-top road which had become unusable to the east of Black Rock owing to cliff erosion; seventy-five feet of land had disappeared in fifty years . 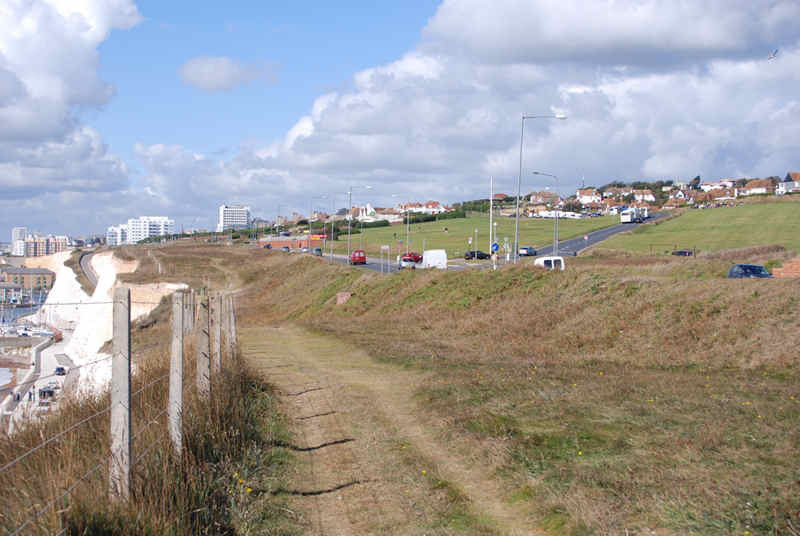 The new road to Rottingdean , Marine Drive, was opened on 22 July 1932 by P.J.Pybus, Minister of Transport, with the cliffs protected by the Undercliff Walk sea-wall. 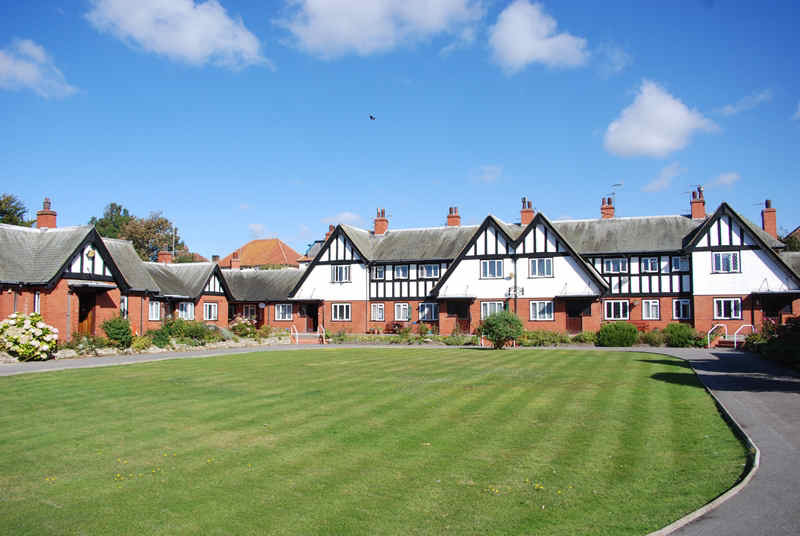 John Howard House at the western end of Roedean Road was opened in 1914 at the expense of Sir John Howard as a convalescent home for gentlewomen, but it was almost immediately requisitioned for use as an officers’ hospital in the First World War. 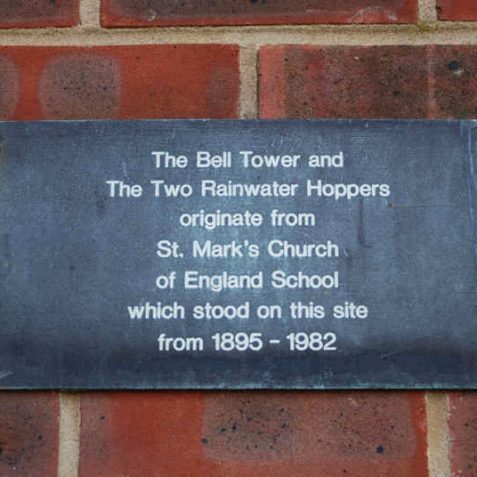 Since 1974 it has been a home of the Royal Hospital and Home for Incurables, which is based in Putney and run on a voluntary basis . 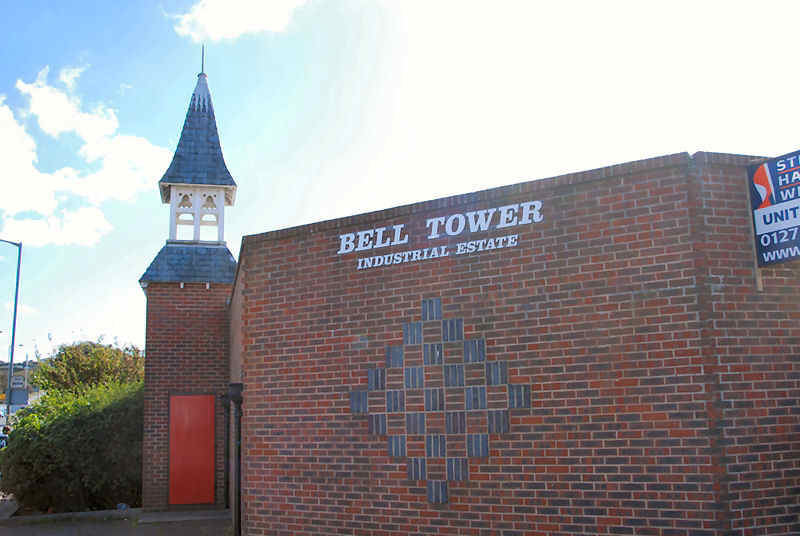 Opposite is a large electricity substation built by the corporation in 1924, and the Bell Tower Industrial Estate, developed in 1983 on the site of St Mark’s School; the school’s bell-tower is preserved as the estate’s distinctive feature. 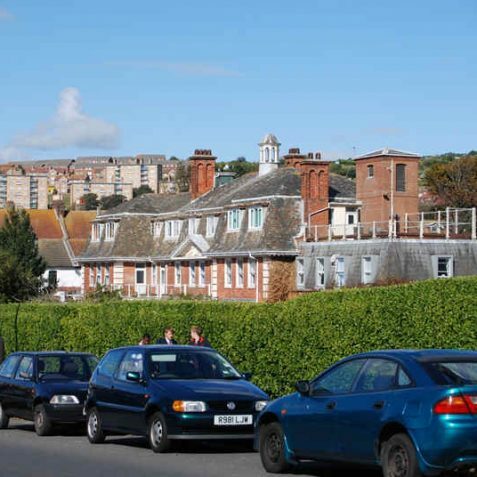 The East Brighton Golf Club in Roedean Road is a private club, founded in 1893 as the Kemp Town Golf Club. 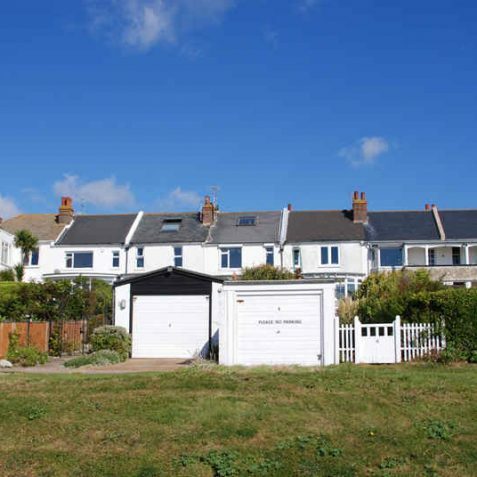 Initially it had just a few holes alongside Roedean Road, but it was soon extended to nine holes across the Downs, and in 1897 changed its name to East Brighton with the addition of another nine holes. The small clubhouse was near the present fourth tee, but the present clubhouse was erected in 1897 and extended several times until 1912. 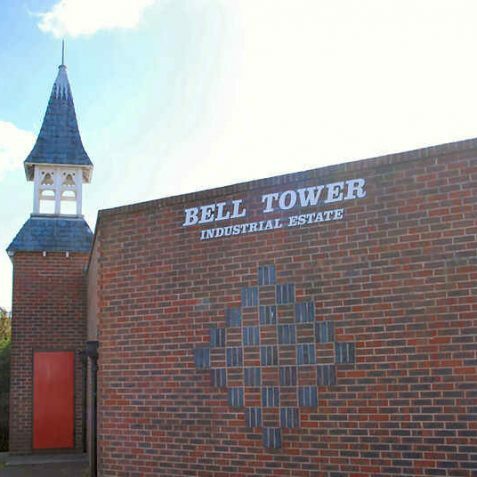 The course itself is 6,291 yards long and was remodelled in 1903 along Wick Bottom; the land is leased from the corporation which acquired it in September 1913 as part of the East Brighton estate. Past presidents of the club include the Duke of Norfolk, Marquess of Abergavenny, Earl of Chichester and Earl Haig. I remember this garage very well as I walked past it almost every day with my mum to the shops in Arundel Road. She used to get her groceries in Mr Rose’s shop on the corner of Arundel Road and Bristol Gardens. I can see our house, 8 Cliff Road, in the background, before the Fire Station was built. 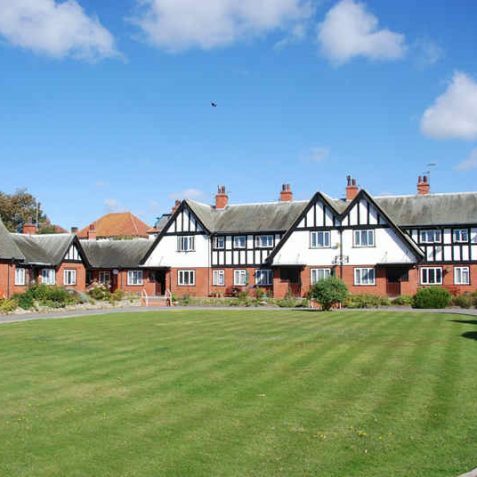 One day Mum was taking me to school on her bike and she fell off and dropped me in the mud on a path across the site where this was built. Mud all over me before I even got to school! I remember the sub station in Roedean Road where the generators produced 240 volts DC for our area as we had a unique DC electricity supply until about 1960.